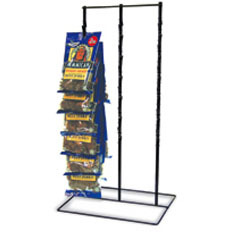 3-clip candy display helps boost your candy sales! The triple clip candy display has a total of 39 clips (13 clips on each strip). Place on a countertop or near the cash register to promote candy sales. For further items, we invite you to take a moment to shop our extensive selection of candy displays at Specialty Store Services today.